The IFF finally published the match schedule of the World Floorball Championships held in December. And it´s going to start at a cracking pace! 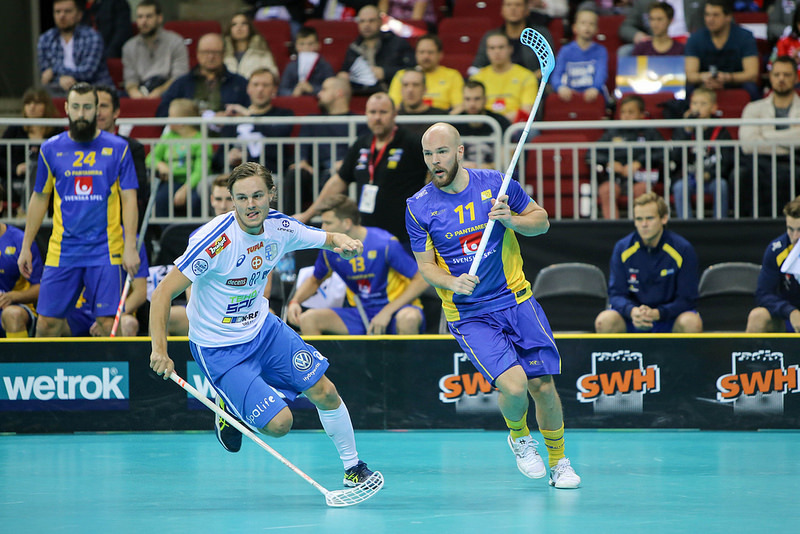 On the very first day the fans will see the spicy battle between the two floorball giants, and the only world champions so far, Finland and Sweden! So, don´t miss the start of the ticket sales on Thursday. The WFC 2018 in Prague would like to win several “bests” and “firsts” and the organizing committee makes no secret of its ambitions, one of them being an attempt to beat the world championships attendance record. And the first day, which will see the two favourites, Finland and Sweden, face each other at 3 PM, may contribute to this goal significantly. Moreover, this game will be followed by the opening ceremony and the home team´s match against Germany. All this in the luxury of the O2 Arena. Another portion of matches will of course take place in the Sparta Arena. For Czech fans, the most interesting match will definitely come on Tuesday when the home team faces Switzerland in a game that will conclude the group stage of the championships. Quarterfinals and games for the ninth to sixteenth place will be held on Wednesday and Thursday. But we don´t want to advise you which games to see – we all have different preferences. So, get familiar with the match schedule yourselves and be ready on Thursday, March 15 at 10 AM CET at your computers to buy your tickets! The schedule to be found here.